If you’ve been following Macro Ops for a while, then you know the Bridgewater Debt Cycle model is the foundation for how we view larger market movements. The debt cycle drives the short-term business cycle (5-8 years) as well as the longer-term secular cycle (50-75 years). Eventually, central banks raise interest rates and the feedback loop shifts into reverse, until interest rates are lowered once again and the cycle starts anew. Short-term debt cycles compound into long-term debt cycles. This is how demand spawns and how bull and bear markets are born and die. Again, if you’ve been following us for some time, then you know that we’re in the tail end of the current short-term debt cycle. And this short-term debt cycle is on the backend of the long-term debt cycle. This means we’re in the early stages of a secular deleveraging, which is why growth has been so elusive and also why Western politics have been so populous (a period not unlike the last secular deleveraging in the 1930’s). The Debt Cycle model looks at everything from a demand perspective. But we can also look at these cycles from the viewpoint of supply. Doing so gives us greater granularity of the forces at work. Here’s how the capital cycle works. Imagine a widget manufacturer — let’s call it Macro Industries. The firm is doing well; so well, that its returns exceed Macro’s cost of capital. The firm’s CEO, William Blewist-Hard, was recently featured on the front cover of Fortune magazine. His stock options are in the money, and his wife no longer complains about being married to a boring industrialist. Of the nine investment bank analysts who cover Macro’s stock, seven have buy recommendations and two have holds. The shares are trading at a price-earnings multiple of 14, below the market average. Macro’s stock is held by several well-known value investors. Macro’s strategy department anticipates strong demand growth for its products, especially in emerging markets where widget consumption per capita is less than one-tenth the level found in the advanced economies. After discussions with the board, Macro’s CEO announces his plans to increase manufacturing capacity by 50 percent over the next three years in order to meet growing demand. A leading investment bank, Greedspin, arranges the secondary share offering to fund the capital expenditure. Stanley Churn of Greedspin, a close friend of Macro’s Blewist-Hard, is the lead banker on the deal. The expansion is warmly received in the FT’s Lex column. Macro’s shares rise on the announcement. Growth investors have lately been buying the stock, excited by the prospect of rising earnings. Five years later, Bloomberg reports that Macro Industries’ chief executive has resigned after longstanding disagreements over corporate strategy with a group of activist shareholders. The activist, led by hedge fund Fantastic Investment, want Macro to shutter under-performing operations. Macro’s profits have collapsed, and its share price is down 46 percent over the last twelve months. Analysts say that Macro’s problems stem from over-expansion — in particular, its $2.5bn new plant in Durham, North Carolina, was delayed and over budget. The widget market is currently in the doldrums, suffering from excess supply. Macro’s long-established competitors have also increased capacity in recent years, while a number of new low-cost producers have also entered the industry, including Dynamic Widget, whose own shares have disappointed since its IPO last year. The market for widgets is suffering from the recent slowdown in emerging markets. China, the world’s largest consumer of widgets, has vastly expanded domestic widget production over the last decade and has lately become a net exporter. Macro is reportedly considering a merger with its largest rival. Although its stock is trading below book, analysts say there’s little near-term visibility. Of the remaining three brokerages that still cover Macro, two have sell recommendations with one hold. The image above shows the capital cycle at work. Capital is attracted to high-return businesses and flees when returns fall below the cost of capital. When capital flows in, it leads to new investments, increased competition, and greater capacity. 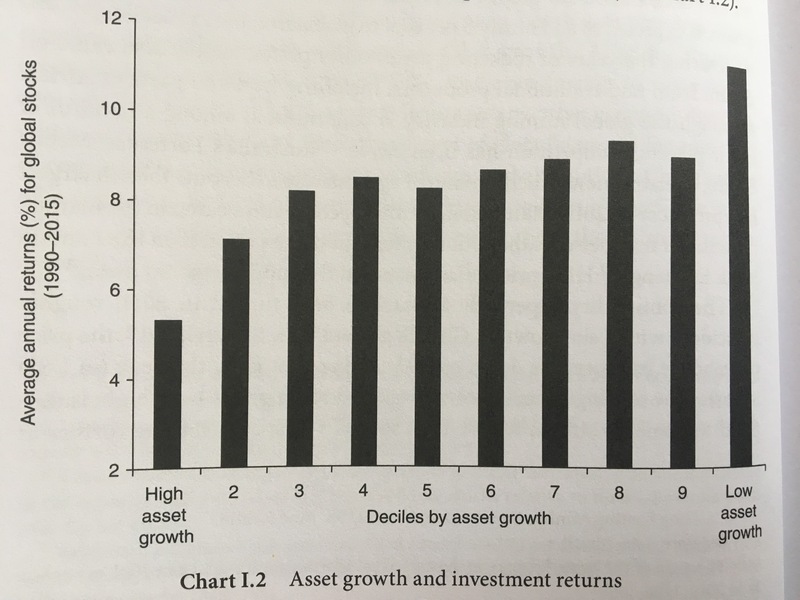 Over time the increase in capacity leads to lower returns on the invested capital. When those returns fall below the cost of capital, money exits and capacity is reduced, until eventually, profitability returns. This process plays out in cycles and resembles Shumpeter’s process of “creative destruction”, where the boom leads to inevitable capital misallocation and the bust eventually clears it out. This cycle plays out at both the macroeconomic and sector level. An example of this is the telecommunications bubble that occurred during the tech bubble in the late 90’s. As blind capital gushed into the tech space, telecom companies started doubling fiber cable infrastructure every three months, which was double the rate at which traffic was actually growing. Investors who understand capital cycle theory would have recognized the supply glut and the inevitable poor future returns, allowing them to sidestep the bust. The same was obvious in the housing bubble and subsequent crash. Your’s truly was tracking the housing market in 06’ and knew things were unsustainable. The situation was obvious. All you had to do was look at the ratio of home prices to income, which reached ridiculous levels at the height of the boom. Rising home prices drove overinvestment (capital misallocation) that led to excess supply… something we’re still dealing with today. E&P energy companies in 14’ are a more recent example. The extraordinary rise in the industry’s ratio of capital expenditures to depreciation revealed the unsustainable situation. Again, high returns attract capital, leading to overinvestment and a supply glut with lower future returns… eventually sparking Schumpeter’s creative forces of destruction. This relationship between capital expenditures and future returns is shown in the chart below. Higher returns follow sectors where there’s been underinvestment. Our debt cycle model and Marathon’s capital cycle model are essentially two sides of the same coin. But debt cycles provide the advantage of seeing how the cycle starts. The lowering of interest rates are what unleash capital in search of investment. That investment leads to greater capacity. And that capacity leads to lower returns. While demand is decreasing and there’s a glut of supply, the herding nature of market participants create euphoric sentiment that drives expectations (and market prices) well past likely outcomes. This process is what forms a market top. And that is what we’re seeing play out now.